Gotta Catch Them All! 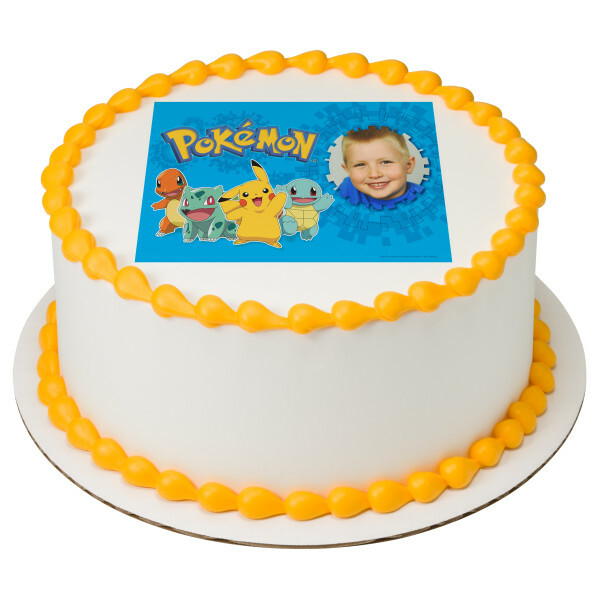 This Pokémon™ PhotoCake® Edible Image® will be the delight of all Pokémon™ lovers. Add a personal image to the designated photo frame so they can feel like they are part of the gang. 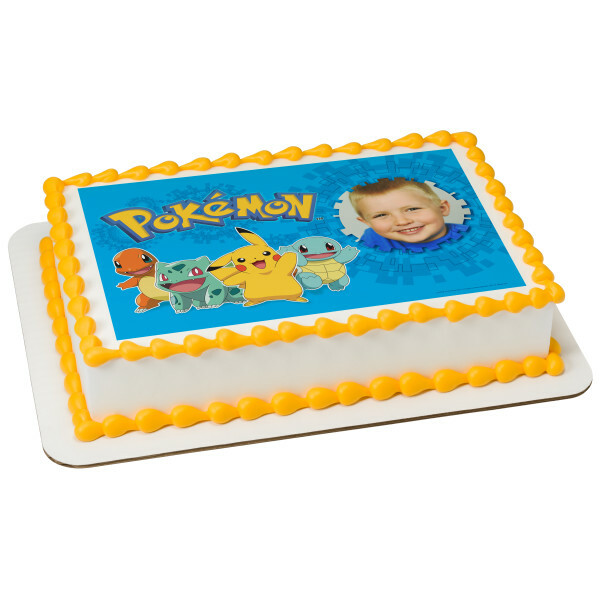 Image can be sized to fit any size icing media. Print with the PhotoCake® Print on Demand System. Can be used on cakes, cupcakes, cookies and ice cream cakes. Neutral taste. Melds into whip or buttercream icing. ©2016 POKEMON. © 1995-2016 Nintendo/Creatures Inc./GAME FREAK inc. TM, ® and character names are trademarks of Nintendo.